The largest mammal on earth, the Blue Whale, has been sighted in Kenyan offshore waters. 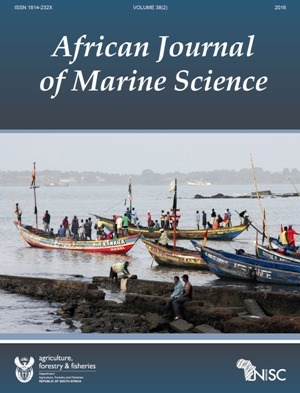 In their short communication published in African Journal of Marine Science in 2016, Barber, Sikora and Nimak-Wood, mention that "they are the first live at-sea sightings of blue whales reported from Kenyan waters...they are likely to have been either Antarctic blue whales, Madagascar pygmy blue whales or northern Indian Ocean blue whales". Research has shown that the number of blue whales reduced drastically following massive exploitation in the 20th century and now stand between 3-11% of the estimated population in 1911. For this reason, the species has been listed as endangered on the International Union for the Conservation of Nature (IUCN) red list. Unfortunately, “the subspecies of blue whale recorded during the current series of observations could not be determined in the absence of acoustic or genetic studies.” In conclusion of the article, the authors state that photo-identification matching of the photographs taken during the survey, however, could help to identify links with blue whale populations in the Indian Ocean. Further survey work would be required to establish blue whale presence during the remainder of the year outside the current study period, especially during the earlier part of the South-East Monsoon. The short communication titled “Blue whales Balaenoptera musculus in offshore waters of Kenya” can be viewed here.